Grayhawk offers a variety of dining options all featuring a laid-back, casual elegance perfect for everything from a cold after-golf beer to a romantic dinner for two. Grayhawk’s dining venues offer sprawling patios that take full advantage of the incredible Scottsdale weather with warming fireplaces and cooling misters for added comfort. Quill Creek Café offers an eclectic selection of American favorites with a Southwestern flare. The dining room opens to an expansive outdoor patio featuring stunning views of the 18th hole of Raptor and Scottsdale’s iconic McDowell Mountains. Plus, the large outdoor fireplace warms the cool, crisp desert air. Named after Phil Mickelson, Phil’s Grill is a comfortable eating and drinking establishment with a warm sports pub ambiance. An exclusive collection of Mickelson’s memorabilia adorns the place: gear he used during his many Ryder Cup appearances; an old persimmon driver he swung as a Sun Devil; signed Masters pin flags; and a Talon course record scorecard, 61, with a bunch of circles. Plus, as a true sports pub, several large televisions are eternally tuned in to the day’s events. 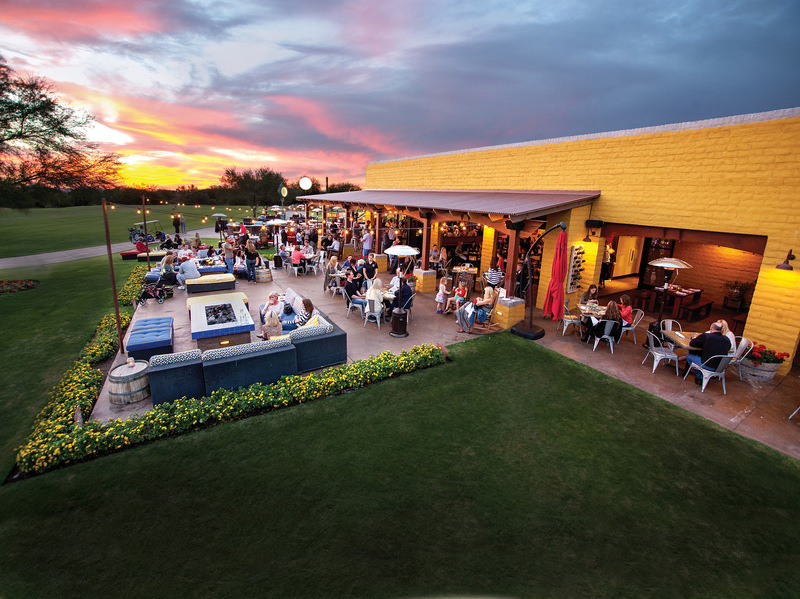 Isabella’s Kitchen delivers Organic Italian fare with a Southwest American twist served indoors or on the sprawling patio overlooking the beauty of the Talon course and the Valley of the Sun below. The Morning Joint (a.k.a. Mojo) coffee bar and eatery offers indoor-outdoor space to fuel up for the day with a coffee drink, breakfast item or just relax and socialize with family and friends. Plus, the health-conscious crowd will be tempted to “get fresh” with Moju – Mojo’s produce-packing, juicier cousin. Bozzie Smoothies are also available for those who want to hit it hard! Grayhawk offers on-course service featuring drinks and snacks carted around the golf courses by the beverage cart crew. Cold beer, hot coffee, a wide selection of spirits, they have it all. And if you’re working up an appetite, they can call in your lunch order for pickup at the turn. Talon and Raptor have their own “snack bars” to grab a bite to eat at the turn or before play. Tom’s Thumb is located in the main clubhouse near the cart staging area on the way to No. 10 from the 9th hole. The Roof is located on the Talon side next to Isabella’s Kitchen and the 10 tee box. Both offer burgers, sandwiches, wraps, brats and a variety of snacks and drinks.